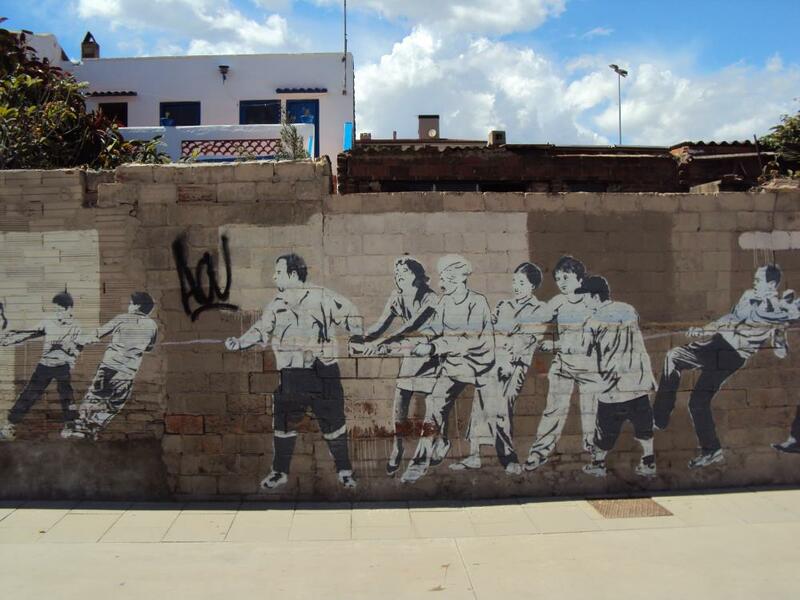 The impressive Fish-Kite mural was painted in 2010 by a group of artists from the Identidad(es) initiative. 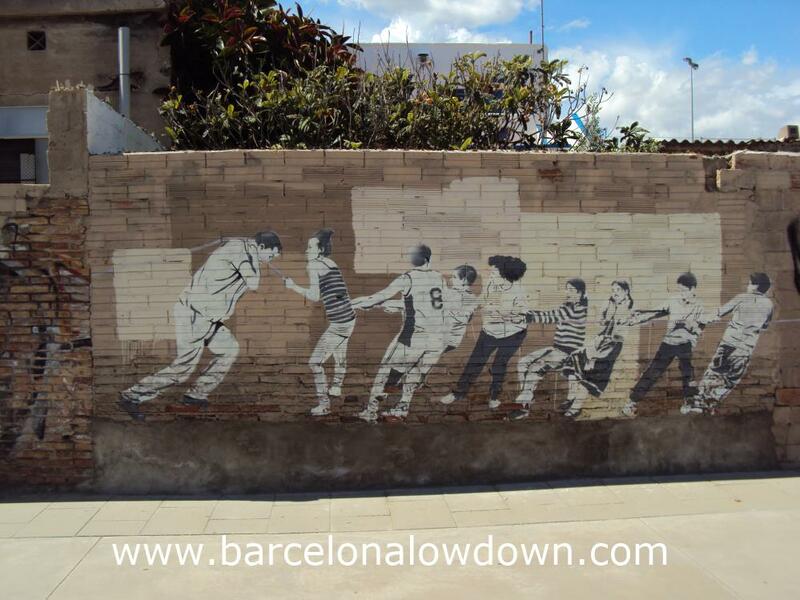 The initiative was sponsored by Badalona city council and aimed to develop social cohesion through several different urban art projects. 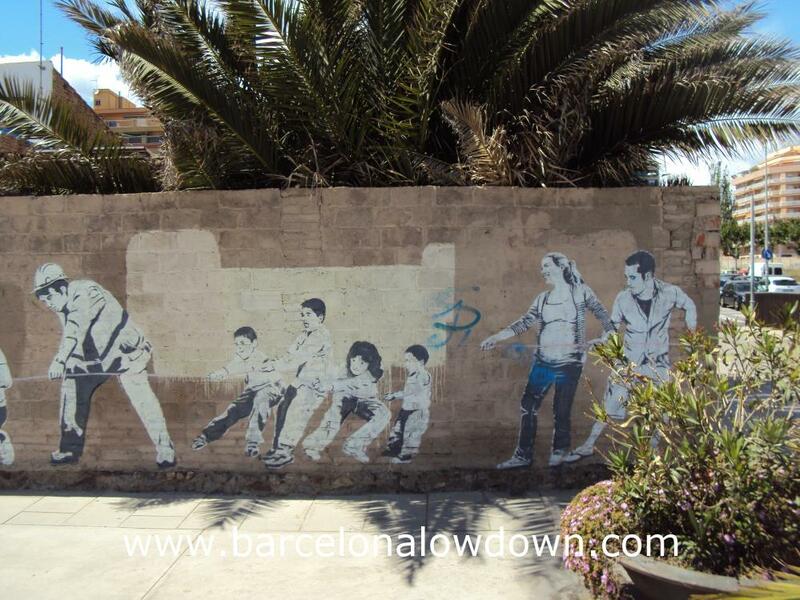 The mural was painted on the exterior walls of four terraced houses in the Barri Groc district of Badalona, at the north end of the promenade. It depicts a giant Koi Carp shaped kite which is being flown by a diverse group of people. I see it as a kind of metaphor for the Identidades project itself; brining a group of people together to work as a team with a common goal. Check out this video from YouTube which shows how the mural was painted. 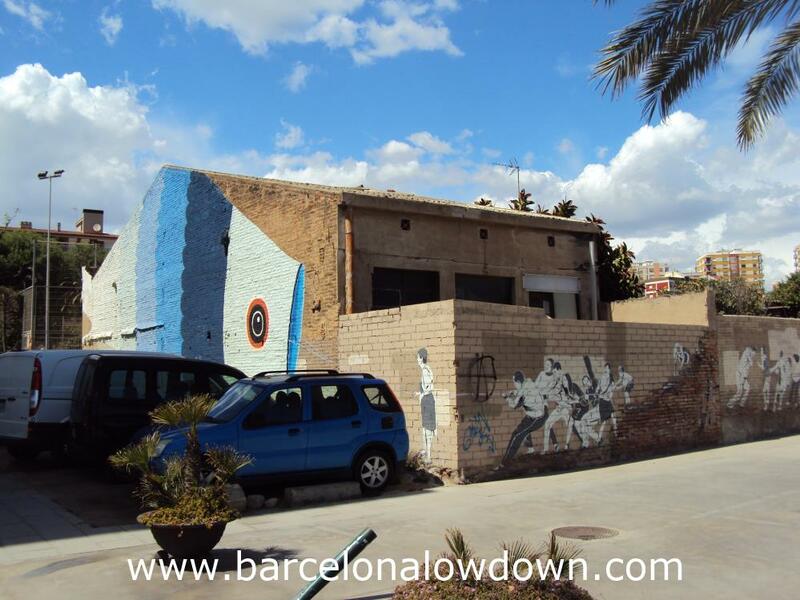 Although a separate city, Badalona is pretty much a suburb of Barcelona. 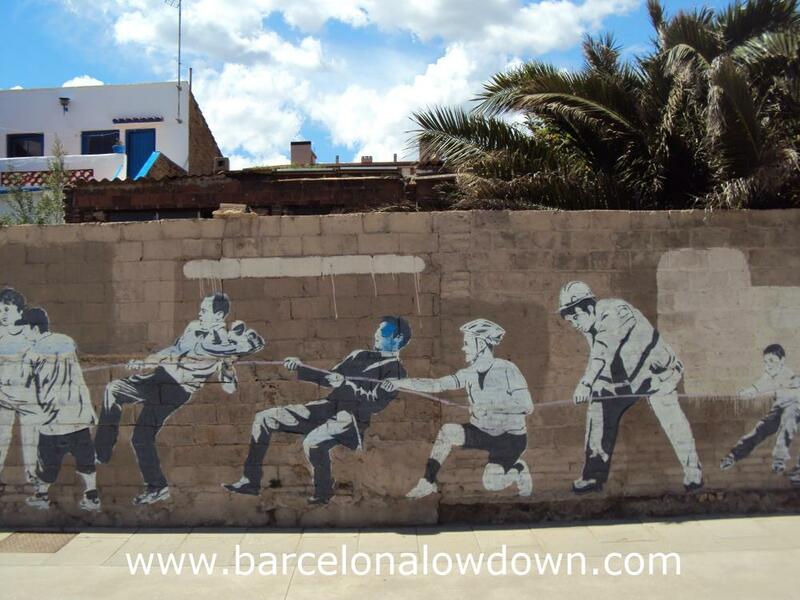 It takes about 10 to 15 minutes to get there by train from Plaça de Catalunya station. Take any train heading north on the R1 line which follows the coast to Mataró, Calella, Blanes/Maçanet or Portbou. 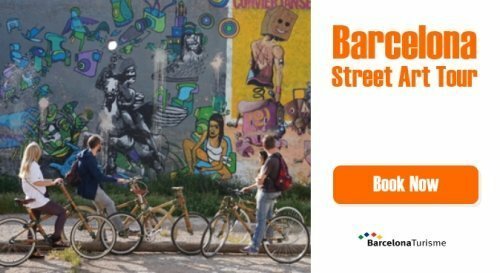 Badalona is in TMB Zone 1 and is covered by the T10 ticket. 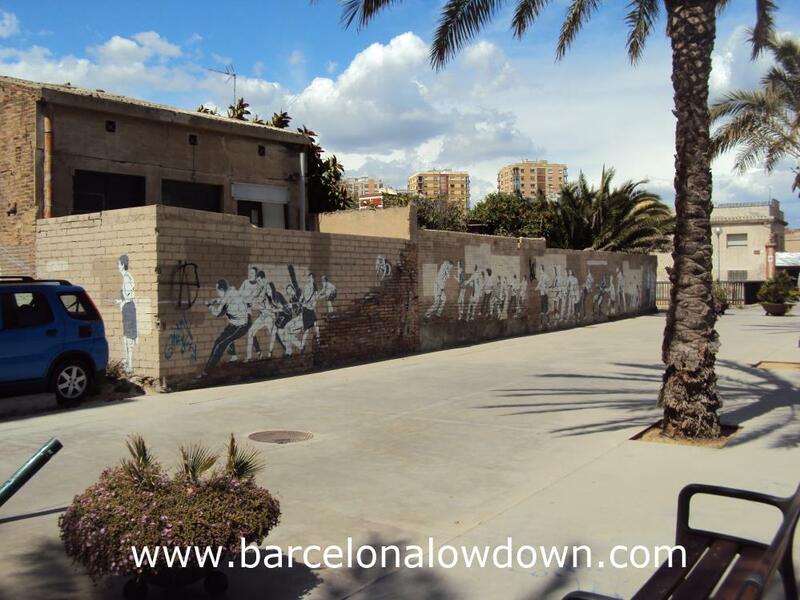 While you’re here you may like to spend some time on the beach which is long and sandy and generally less crowded than Barcelona’s beaches. There are several bars with terraces where you can enjoy a quiet drink. Take a look at the photos on Google Street View which are from before the Fish-Kite mural was painted. 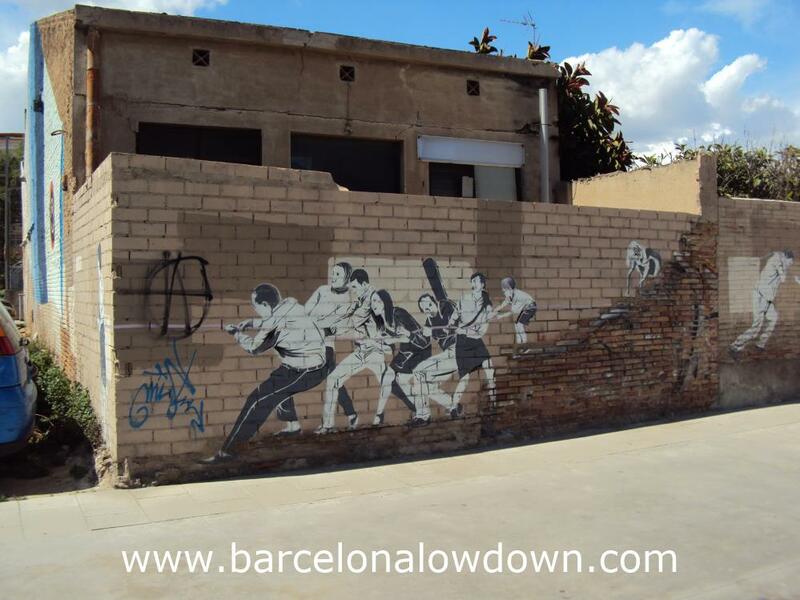 This entry was posted in Catalonia, Interesting & Amusing, Public Art tagged badalona, street art and updated on March 9, 2019 by Richard.